The D Head 420 is the top choice of orbital weld heads intended for multi-pass GTAW pipe welding for a seamless pipe-to-pipe connection. 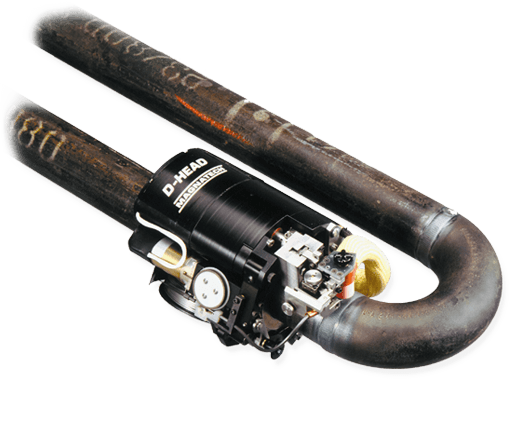 The Magnatech D Weld Head is designed to make pipe-to-pipe and pipe-to-fitting welds. It is “full function” – with the capability of reproducing all the motions of a skilled welder. 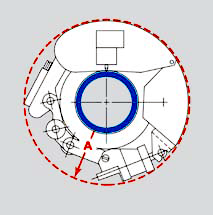 The D Weld Head is used for applications with radial and axial clearance constraints. Interchangeable guide rings provide mounting on the pipe, and allow the D Weld Head to cover a broad size range: 1” - 14”. The D Weld Head improves productivity by increasing duty cycle, reducing repair rates, and producing welds of consistent quality. 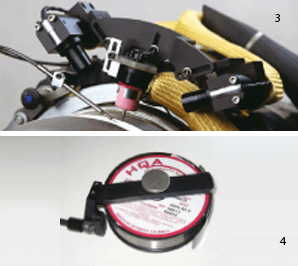 (Adjustable) allows torch to be pivoted up to 60° for socket/fillet welds. 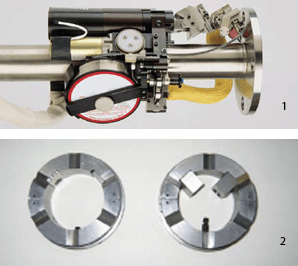 Maintains arc length correction motion along tungsten electrode axis. 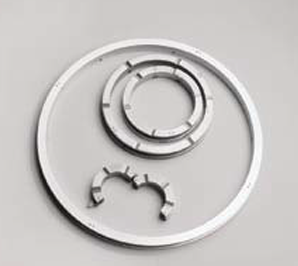 allow Guide Rings to be used on smaller pipe sizes. Use with oversized Guide Rings on preheated pipe to prevent heat damage. reduces radial profile of D Weld Head to 50mm (2”); Low Profile Wire Spool 0.5kg (1lb.) required. * For pipe/tube OD’s less than 44.45mm (1.75”), Radial Clearance Requirement increases with decreasing diameter. Contact Factory.